Our company offers extensive services for garage doors, in California, that include both simple and complex repairs, replacements, installations and even maintenance. We are available in emergencies as well, so count on our professionals for anything you need. Experienced contractor for full 24/7 electric garage door repair! Our company is fully equipped and responds fast to emergencies! Excellent repair parts, top services. 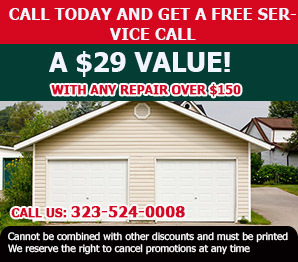 If you are looking to have your garage door repaired or replaced, look no further than Garage Door Repair Montebello. Why are we the best? We are the best because we truly care about our friends and neighbors in Montebello and offer same day service by extremely well trained professionals who know how to stock a truck with great products and finish the job in one trip. In addition, we provide emergency service. It you need garage door repairs, installation or service; we are the team for you. When you work with our company for garage door repair or installation needs, you can be sure of the accuracy, efficiency and professionalism of our team. We offer full residential services and have the foundations to support our customers fast. From garage door replacement and opener repairs to cable installation and track alignment, you can all be absolutely sure that our technicians have the knowhow to offer exceptional services. We deal with broken and malfunctioning parts as fast as we can, order new garage door repair parts and offer same day emergency service. Our dedication is ensured, especially when there are serious problems and we can assure everyone of our fast response. Garage door springs are one of the many items that need to be repaired on a garage door system. There are two types of springs that are widely used in the industry. They are the extension and torsion spring. The extension spring is used for lighter doors like wood and the torsion spring is utilized for heavier doors like steel. We can repair or replace both of them for you. Garage door openers are quite heavy and best left to professionals like those at Garage Door Repair Montebello. There are 3 basic types of openers and we carry all of them. The first is the screw drive, which is cheap but not often used because it is slow and noisy. The chain drive is moderately priced but still makes a small racket. The belt drive is quiet but will set you back a few bucks. Maintenance/Adjustments are crucial to the long term health of your garage door system. 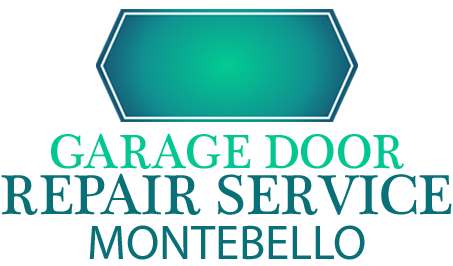 Preventive maintenance is important and that is why Garage Door Repair Montebello is ready to do it for you. You would be surprised how a little lubrication and bolt tightening will save you in the future. The garage door remote is small but does a huge job. It opens the garage door for you and you don’t even have to get out of the car. We carry products like Genie Intellicode, Multicode, Clicker, and Liftmaster security for our customer’s convenience. Garage door sensors are little miracles of modern technology. The safety, photo eye, and infrared sensors take the signal from the remote to open or close the door. Furthermore, these sensors will not allow the door to shut if an object sits below it. This is great for safety. Replacement/Installation services are vital for a garage door company. We at Garage Door Repair Montebello know how important it is to be able to provide these services reliably and dependably. Our technicians can replace and install new windows, door sections, and steel, wood, craftsman, aluminum, and glass garage doors. Milk glass or frosted glass is a pain of glass which has undergone the process of whitening by adding additional ingredients to the mix. This material is semi-translucent which makes it perfect for those who want privacy without having to block any natural light from entering the home. In this regard they differ from tinted windows which have a one way viewing affect with whichever side being darkest having the best view, which makes them perfect for garage doors. Milk glass gives you privacy no matter what the lighting conditions, but won’t take away any of the light your garage may need to keep it from seeming too gloomy.